Oak Lane Luxury Furnished Suites is central to so many famous attractions, and is steps from downtown Victoria. You will find the following right in our neighbourhood. Fort Street is also known as “Antique Row.” Find a wonderful array of items here: silver, rare prints, fine china, antique furniture and Victorian bric-a-brac. The street is also home to art galleries and auction houses that hold regularly scheduled auctions for fine art, antiques and collectibles. A great way to discover and enjoy Victoria is by walking, and you can easily walk from Oak Lane Luxury Furnished Suites to the Inner Harbour, downtown, Antique Row and Beacon Hill Park. Southern Vancouver Island – Victoria to Sooke to Port Renfrew – has some of the best attraction and recreation choices on the west coast of British Columbia! Come discover why. Just 17 kilometers from downtown Victoria, Goldstream Provincial Park lies amid the splendour of an old-growth temperate rain forest. 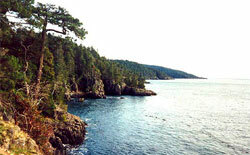 West Coast wilderness awaits you at East Sooke Regional Park. Experience it as you hike along the windswept rocky coast, over dry hilltops, through dark rain forest to sheltered coves. 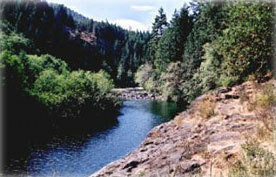 If swimming is your thing, then be sure to visit Sooke Potholes, a swimmers paradise. Just a 30 minute car ride beyond the urban core, the Sooke potholes are one of the more popular swimming spots in the capital region. Avid bird lovers will discover a feast for the eyes at Esquimalt Lagoon, a saltwater lagoon and migratory bird sanctuary located at the base of the Royal Roads property, next to the Fort Rodd Hill / Fisgard Lighthouse National Historic Sites and offering an excellent view across Esquimalt Harbour. At Fort Rodd Hill, visitors can explore gun batteries and underground magazines built a century ago, as well as searchlight emplacements, command posts…and much more. Families often bring a picnic lunch and stay for a half a day. While the kids investigate our tide pools, parents can enjoy the spectacular sea and mountain views. 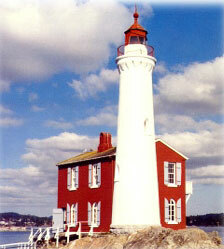 The first lighthouse on Canada’s west coast, Fisgard Lighthouse is still in operation, and is a National Historic Site. If you’re into hiking, you’ll love the Juan De Fuca Marine Trail, a 47 kilometer hiking trail stretching along the western shoreline of southern Vancouver Island, Canada, from China Beach, just west of the community of Jordan River and extending to Botanical Beach near Port Renfrew. Another good hiking trail is The West Coast Trail, the third unit of the Pacific Rim National Park, which includes the section of coast southeast of Barkley Sound between the villages of Bamfield and Port Renfrew. Another great trail for nature lovers is The Galloping Goose Trail, where you can travel for nearly 60 kilometers. You can cycle, walk, or ride a horse along this former rail line past some of B.C.’s finest scenery. Adjacent to the Strait of Juan de Fuca, in the Bilston Creek Watershed, lies Witty’s Lagoon Regional Park, a harmonious blend of protected natural environments. On the grounds of Hatley Park and Royal Roads University in Victoria, you’ll find Hatley Castle and Hatley Gardens, and both are worth a visit! 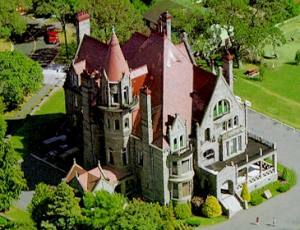 The Castle was completed in 1908. From 1941 until 1943 when Grant Block was completed, the Castle served as dormitory and mess hall for cadets and staff officers at Royal Roads Military College. Here you can enjoy the natural beauty and natural history that Victoria and southern Vancouver Island are renowned for. We hope you will discover the diversity and beauty that is Vancouver Island. For more to see and do in this beautiful area, please visit RecreationVictoria.com. Victoria is known as “the Garden City” for obvious reasons. There are so many public gardens in this area that it’s difficult to name only a few. So, we are including ones that may be of interest to the first time visitor to our city. Oak Lane Luxury Furnished Suites are situated centrally and is ideally located for visitors interested in spending time visiting some of the city’s best known and “unknown” gardens. The Garden is located at 1964 Fairfield Rd. This is about 600 feet East of Foul Bay Road on Fairfield, just minutes from Oak Lane Luxury Furnished Suites. 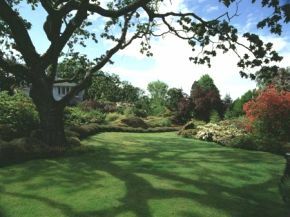 The Government House grounds embrace 14.6 hectares (36 acres), including 8.9 hectares (22 acres) of a rare Garry Oak ecosystem, and 5.7 hectares (14 acres) of formal gardens. 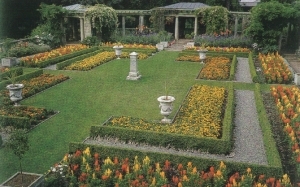 All formal garden areas are wheelchair accessible thanks to the efforts of the Government House Foundation, the Province of British Columbia and private donations. The site is a popular attraction for Victoria residents, visitors, and tourists alike. 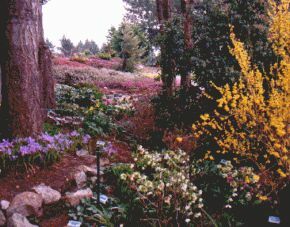 Thanks to the time and expertise of dedicated volunteers, The Friends of Government House Gardens Society, the grounds are a well-utilized, much-treasured greenbelt for the community. With occasional exceptions, the grounds are open daily to the public from dawn to dusk, free of charge. Open year-round this well-loved green space, with a Petting Zoo, formal rose gardens, and a band shell for outdoor summer concerts located just minutes from Oak Lane Luxury Furnished Suites. Scottish-born John Blair, considered one of the best landscape architects in North America, won the 1889 competition to design Beacon Hill Park. The hybrid rhododendrons he planted around Fountain Lake are still glorious more than 100 years later. For a dose of peaceful elegance, take a stroll among the beautifully cultivated gardens. Getting to Butchart Gardens is easy – by car, bus, double-decker, float-plane or native war canoe (we’re serious – ask!). Driving distance from Oak Lane Luxury Furnished Suites is about 25 minutes. Imagine a castle set in mature country gardens along the ocean. 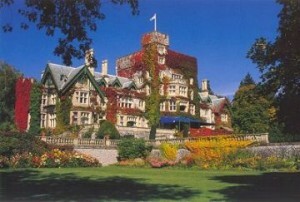 Once a coal baron’s estate, it became Canada’s prime military academy and is now Royal Roads University. 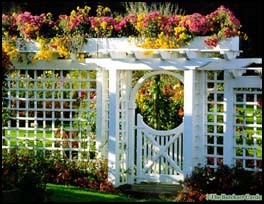 The gardens include wisteria-covered stone bridges over exquisitely planted water features, rolling lawns, mixed borders, and a beautiful Japanese garden. Hatley Park is located in the Western Communities about 25 minute drive from Oak Lane Luxury Furnished Suites. 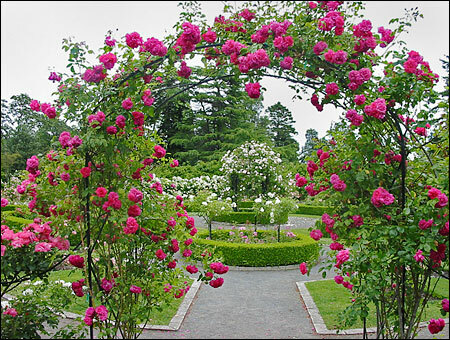 But make this trek worthwhile – combine the visit to these gardens with a visit to Fort Rodd Hill historic park and the beautiful Esquimalt Lagoon.The general layout of the garden has remained the same over the years. The statues are original and represent the four seasons (Pomona, Ceres, Flora and Hebe). The urns are original. This is a demonstration garden housing a training school for landscape gardeners. There are over 10,000 varieties of identified plants to check out. The ‘how-to’ aspect of gardening is prominent here with workshops all year long on topics many diverse topics. 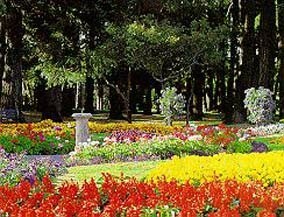 You will enjoy the winter, rhododendron, woodland, Japanese, orchard, ornamental grass, heather, hardy fuchsia, mixed perennial, Asiatic lily, dahlia trial, dry flower, herb, vegetable, drought tolerant and rose gardens. Plant collectors will be delighted by the plant sales. Located about 15 minutes from Oak Lane Luxury Furnished Suites in a rural area called Saanich.